Below you‘ll find details of the latest discounts and offers that we’ve put together especially for our alumni community to say thank you for staying in touch with the College. Please click on the companies below to find out more about the discount. Big Bathroom Shop offers a wide selection of luxury bathroom products including complete shower systems, bath as well as kitchen taps and luxury designer radiators. Get 5% off anything site wide using promocode HEATH5 at checkout. BillyOh offers a wide range of garden products and outdoor living items that include summerhouses, log cabins, garden sheds, garden storages, outdoor toys, greenhouses, and garden accessories. The brand prides itself in its high-quality products crafted to help its valued customers create a garden lifestyle. BillyOh offers Reaseheath alumni members 5% discount on items up to £500 and 10% discount on items over £500. Please contact BillyOh’s sales team through 01636 858377 (press 1 for Sales) or email sales.dept@billyoh.com and quote Reaseheath College. Black by Design offers a wide range of contemporary designer homeware and accessories from top brands. Their products have been carefully selected to help customers find the perfect home accessory or gift. Black by Design are pleased to offer Reaseheath Alumni members a 10% discount on all items (with the exception of items already discounted). Simply visit www.black-by-design.co.uk and enter the discount code ‘ALUMNI10’ at checkout. Awarded Taste Cheshire’s Best Sandwich Shop 2014, Bloom is all about the Sandwich. A perfect, beautiful food, limited only by our imaginations (and the contents of the fridge!). At Bloom, life is filled our lives with Sandwiches! They’ve also thrown in a few delicious homemade soups and salads for when you’re feeling super healthy, as well as some amazing cakes for when you’re not. Reaseheath Alumni will receive 10% discount off any purchase in their Nantwich shop. 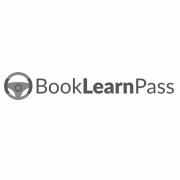 Book Learn Pass is website designed to help you learn to drive, study for your driving theory test and book driving lessons in your local area. Whether you are a novice driver getting behind the wheel for the first time, or a partly qualified driver looking for a few extra lessons before a driving test, Book Learn Pass can create the right driving course for you. We have fully qualified driving instructors operating across Nantwich and we’ll ensure you are fully trained and ready to pass your drivng test in a short period of time. Chamberley Glass and Windows are manufacturers, distributors and installers of double glazing, bi-fold doors and sky lights. To receive your 20% discount code on all products, quote code REASE20 on enquiry. Reaseheath Alumni will receive 10% discount on all online products (excluding sale items, feed, feed Supplements & Timber). To receive your discount code please email: alumni@reaseheath.ac.uk. Country & Stable is one of the UK’s leading equestrian and country clothing retailers, offering great deals on gear for both rider and horse. All Reaseheath alumni will receive 10% off any full priced product on the website (Online only) using code RH10OFF. There is a minimum spend of £50 for the 10% code to work. Sale Items are excluded and the code can not be used with any other offer. Decking Hero is the biggest review site for garden decking in the UK. They’re able to leverage their partnerships with DIY retailers in the UK to gain exclusive discounts for Reaseheath Alumni. This includes garden decking boards, accessories and decking treatment products. They can also source exclusive offers for artificial lawn – specifically those found on our best artificial grass products page. By using the discount code DHERO10 on a retailer’s checkout you can secure the discount they’ve negotiated from their partner stores. Contact Decking Hero using the form on their website to get a list of their latest retailers and discounts and they’ll come back to you with their latest offers. Direct Fireplaces is one of the UK’s leading retailers of fires and fireplaces. Also with a store in Stockport, they sell a huge variety of electric and gas fires. Direct Stoves is one of the UK’s leading retailers of wood burning and multi fuel stoves. Also with a store in Stockport, they sell a huge variety of stoves, as well as offering expert advice on installation. Dormeo is a supplier of high-quality, cutting edge memory foam mattresses and bedding accessories with over ten years of experience. Each of their luxury Italian mattresses is fitted with their patented Ecocell core, which adapts to the unique shape and temperature of your body, so you’re guaranteed a perfect sleep every night. And, because they understand that a great night’s sleep is the foundation of a happy, healthy life, they offer mattresses to suit every budget. Dormeo are proud to offer Reaseheath College alumni a 10% discount on all orders over £200. To make the most of this fantastic offer, simply use the discount code RHALUM10 at the check-out when buying your mattress and accessories. Manufacturer and online retailer of luxury made to measure blinds. Choose from hundreds of stylish window blinds in a wide range of colours, styles and designs. Enter code REASE20 at the checkout to claim your exclusive discount. If you have a Nespresso®* brand coffee machine at home (including Citiz, Pixie, Essenza, Krups, Lattissima and Magimix), how about joining the Fine Coffee Club? Fine Coffee Club have selected the best coffee to blend and roast to perfection. Reaseheath Alumni Association will receive 10% discount off all online orders. Claim your exclusive discount code by emailing: alumni@reaseheath.ac.uk. First Mats, retailers of a wide range of entrance and floor mats, are pleased to be able to offer a 5% discount to Reaseheath Alumni on their full range of products. To receive the discount, simply enter the code ACADEMIA5 at the checkout on www.firstmats.co.uk and a 5% reduction will be applied to the value of the order. Flamingo Gifts is a website full of items you need, want and lots you never even thought existed. Full of amazing brands for both gifts and home. They have it all. Accessorize your home with items which are bang on trend and will inject some fun and style into any room. For the ultimate gift they have lots of unique gifts designed for any age. For 15% off everything (excluding sale items) please visit www.flamingogifts.co.uk and enter the discount code ‘alumni15’ at checkout. Haunted Rooms are the UK’s leading haunted experience provider. Whether it’s a haunted castle sleepover, or a ghost hunt at one of the most haunted venues in the country, they have you covered. You can receive 5% off all their ghost hunts, available here. Discover an original and unique range of homeware, home accessories and gifts for the modern home and stylish individual. Discover the unusual at Hurn & Hurn. Reaseheath College alumni can save 10% on orders over £60* using discount code ‘ALUMNI10’ at www.hurnandhurn.com. *excludes sale, offer and pricematch items. Stand out from the crowd with premium Business Cards, Minicards, Notecards and more with Moo.com. Reaseheath alumni will receive 15% off your first complete order. Naked Floors design, produce and supply of some of the most one of a kind oak flooring available. Naked Floors are offering the alumni of Reaseheath College a 10% discount off all oak flooring products. This offer only excludes the Wiversfield Oak (which is 5% off). Quote ‘Reaseheath10’ when enquiring about their products to access your discount. Online Golf is Europe’s largest online golf retailers and the supplier of all major brands. From the latest GPS golf course tech, professional standard clubs, to quality golfing attire; Online Golf is the place to visit to get kitted out for the course! Online golf will give 5% off items bought via their website – excluding Galvin Green, Motocaddy and selected ‘new in’ products. Contact alumni@reaseheath.ac.uk to claim your unique discount code. Pen Heaven offers one of the widest ranges of pens online as well as an in-house, personalised engraving service. They offer established brands such as Parker and Cross, calligraphy sets, leather journals and a range of high quality Japanese pens, priding themselves on delivering top of the range choice, value and quality as well as the finest aftersales support. Pen Heaven is pleased to offer a 12% discount on all products on the website to all Reaseheath alumni. Please email alumni@reaseheath.ac.uk to claim your discount code. Bespoke and personalised ink drawings, cards, gift tags and more from PennyPrints. Professional doodler Penny is inspired by nature, intricate things, lovely people, interesting words and quirky thoughts! Her designs are totally hand drawn and therefore 100% unique… every single item! Penny is kindly offering Reaseheath Alumni members a 50p discount on cards, including personalised orders. Orders are available online by emailing Penny at: pennyprints@live.com. Make sure you have joined Reaseheath Alumni Association to receive your special discount from PennyPrints. Sixt offers affordable, high quality car and van hire services across the UK from a wide number of locations. They are known best for their great deals on premium car rentals and excellent customer service; allowing you to drive in style for less. They have economy cars, 4x4s, luxury vehicles, minibuses, and convertibles as well as reliable moving vans and trucks. Sixt is offering Reaseheath Alumni a 10% discount off their car hire. Contact the Reaseheath Alumni team for the 10% discount code then click here to redeem this offer. Synergy Automotive are a Car Leasing company that has been established for over 10 years. They are specialists in finding the perfect lease deals for customers and they pride themselves in customer service (with over 2,700 5* reviews from their customers). They offer both personal and business leasing for a wide range of cars and vans. Please feel free to contact Synergy through their website if you have any questions about this offer. Terrapin is the UK’s leading phone protection brand. Choose from a wide range of minimalist TPUs, rugged outdoor cases, genuine leather wallets that are perfect for the office or the company’s signature low-profile wallet with integrated stand. Cases are available for most phone models and are delivered to your door using Amazon’s high speed delivery network. Terrapin are pleased to offer Reaseheath Alumni a special 20% discount on any product from their website. Please contact customerservice@terrapinaccessories.co.uk to receive your discount code. Fancy Dress Ball are one the UK’s largest suppliers of fancy dress costumes and accessories. Stocking everything from the budget items to specialist outfits. Contact alumni@reaseheath.ac.uk to claim your alumni discount code. The Lakes Distillery is a driving force behind a revolution of ‘new world’ whisky distilleries. As an English distillery based in the heart of the Lake District, their contemporary family of brands have to speak for themselves. Whether you are looking for a souvenir from the Lake District or a unique gift, the distillery gift range offers a variety of primarily local products to suit all tastes, such as glassware, clothing, blankets, toiletries and books as well as a range of confectionery made in their own kitchen, such as whisky cakes and Christmas puddings. Claim your exclusive free delivery discount code by entering code ‘REASEHEATHFD’ on the checkout page at www.lakesdistillery.com. 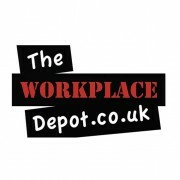 The Workplace Depot offers over 20,000 industrial and workplace related products both online and through our mail order catalogue. Specialising in selling all the useful, if slightly dull things that businesses require, such as… office furniture, first aid and fire equipment, shelving, racking, lockers, containers and much more – ideal for anyone looking to kick-out your business. Alumni will receive a 10% discount off all products, in addition to any other discount offered through The Workplace Depot website. TOAD® produce highly customizable diary and planner products available from their site. Users can essentially choose every aspect of their planner product (start-date, duration, format, size and cover design) via our designer tool, which makes them really useful for working around work or education schedules. Claim your exclusive discount code by emailing: isaac@toaddiaries.co.uk. We Are Promotional Products are one of the UK’s leading online promotional merchandise retail stores, supplying over 1,000 printed and branded items for all occasions. In addition to a store wide 10% discount, We Are Promotional Products would also like to offer Reaseheath alumni 15% off promotional mugs and ceramics. Please contact the team at We Are Promotional Products for more information on claiming your discounts. YourParkingSpace is the online parking marketplace that connects drivers with parking space owners across the UK. Reaseheath College alumni can book affordable parking on YourParkingSpace.co.uk and redeem the REASEHEATHALUMNI10 discount code to get 10% off their booking. Claim your exclusive discount code by entering code REASEHEATHALUMNI10 on their website. Unique Physique Clothing strives to supply you with high-performance fitness clothing that makes you feel like you, both inside and out. Our materials and collections are cultivated and curated with the individual in mind, the products of intensive human research, development, and compassion. We believe fitness wear should be transitional and durable; tailored for high-intensity workouts while maintaining enough of the standard casual aesthetics to wear across a range of engagements. Claim your discount by entering code RC10 on their website. Winfields Outdoors is one of the UK’s leading outdoor retailers, specialising in camping equipment and walking gear, including hiking boots, waterproofs and sleeping bags. They also have eight stores around the UK. Reaseheath alumni can claim 5% off all departments online. Online only. Cannot be used in conjunction with any other offer. Excludes; Vango AirBeam Tents & Awnings, Kampa Tents & Awnings and Outdoor Revolution Tents & Awnings. 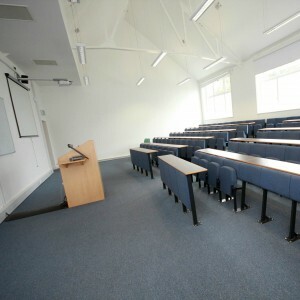 Utilise our variety of on campus conferencing facilities. 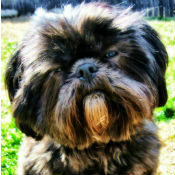 Have your dog bathed, clipped and groomed. Call 01270 613222 to book your pooch in for a pamper session. 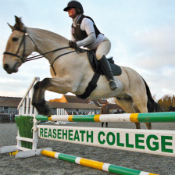 Rent our international standard indoor arena along with a host of other facilities at Reaseheath Equestrian Centre. To ensure you have access to the range of benefits and services on offer to our alumni community, make sure you”re contact details are up-to-date using the Reaseheath Alumni contact form. We are always looking to forge new links with businesses and other organisations to ensure our alumni have a range of benefits and services to enjoy. If you would like your business to feature on this page, please contact us on alumni@reaseheath.ac.uk or call 01270 613 219 – it would be great to hear from you!